since SACSTW came on the scene"
Not only is Kim Jong ill, he's dead. 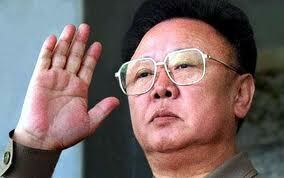 After continuing his father's legacy of brutality and oppression for 17 years, the ruler of North Korea has died. Reports indicate he suffered a heart attack on Dec. 17th, and died shortly therafter. 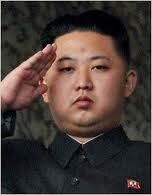 The designated successor is Kim Jong il's son, Kim Jong Un. In a gesture surely meant to reassure neighboring South Korea that regime change will be peaceful and non-threatening, North Korea test-fired short range missiles off its eastern coast yesterday. I feel better already! Here's another story about good samaritans paying off layaway accounts for holiday shoppers. Thanks to Sahib for bringing this story to the attention of the SACSTW community. The Green Bay Packers dreams of an undefeated season and their 19 game winning streak died on the turf at Arrowhead Stadium in Kansas City. Fourteen point underdogs going in to the game, the KC Chiefs authored the biggest upset of the NFL season with the assistance of an actual NFL coach and a professional quarterback. By now you have heard that the National Transportation and Safety Board (NTSB) has called for a nationwide ban on all usage of "portable electronic devices" while driving. Specifically aimed at cell phones, this ban would include texting, voice calling, and even use of hands-free equipment. While the Crew agrees that distracted driving is a threat to us all, this falls under the category of "you can't fix stupid" (with apologies to Ron White). Look for bans of other driving distractions to soon follow, mascara, Egg McMuffins, billboards for strip clubs, and daredevil squirrels. By the way, how would this ban affect those who are actually driving a "portable electronic device"? Both Chevy Volt owners want to know. For more information on distracted driving, readers are directed to P.J. O'Rourke's classic essay "How to Drive Fast on Drugs While Getting Your Wing-Wang Squeezed and Not Spill Your Drink!". Gender Bending Shocker in Congress! This Guy is Really our Vice President? Chuck Woolery: Don't Cut Critical Programs!